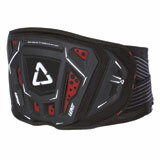 Kidney Belts provide kidney and back support during those long races or trail rides. 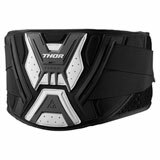 You will find low prices on all the latest designs from the top motocross brands. Latest Kidney Belts Reviews – You could win up to $500 for reviewing products! 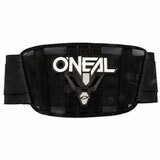 There was no problem with the belt, other than it was too samll for me. 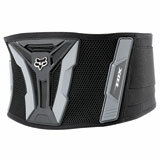 Fox Racing Black Belt Kidney 28"
This is my second Fox Black Belt. I have put on and taken off the previous belt so many time the material is worn out. I ride-a lot, hit about every hare scramble I can make it to, and practice a lot. I bought my first one after riding, and winning, a race that made my insides hurt so much that I thought something was seriously wrong. After wearing one on the rougher rides, I feel much better. Wish I would have known about these sooner. I rate this belt high. Velcro.......where did it go ! 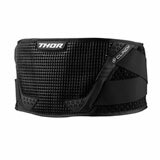 Shame about this product from Thor because the only thing that lets it down is the velcro ! The belt is now gathering dust before i bin it due to the velcro wearing out so quickly. 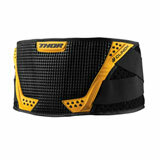 Lasted 4 months then sprang off my waist when on a ride....after that the velcro just gave up.